Is the Book of Acts in the New Testament history or myth? For the next two weeks I speak with the two co-chairs of the Acts Seminar, Joseph Tyson and Dennis Smith. 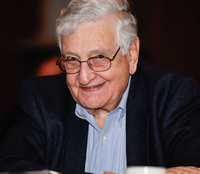 For ten years the Westar Institute has evaluated the historicity of the Book of Acts. 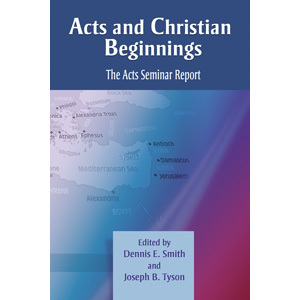 They have produced Acts and Christian Beginnings: The Acts Seminar Report. They have made some important conclusions. Here is a top ten list. This week I speak with Dr. Tyson of Southern Methodist University about his take on Acts and the Acts Seminar. Thursday, July 10th at 8 pm on WETS, 89.5. Saturday, July 12th at 1 pm on KZUM, 89.3. Sunday, July 13th at noon on WEHC, 90.7. Sunday, July 13th at 2 pm on WETS, 89.5. Monday, July 14th at 1 pm on WEHC, 90.7. Wednesday, July 16th at 6:30 pm on WEHC, 90.7. Via podcast beginning July 17th.